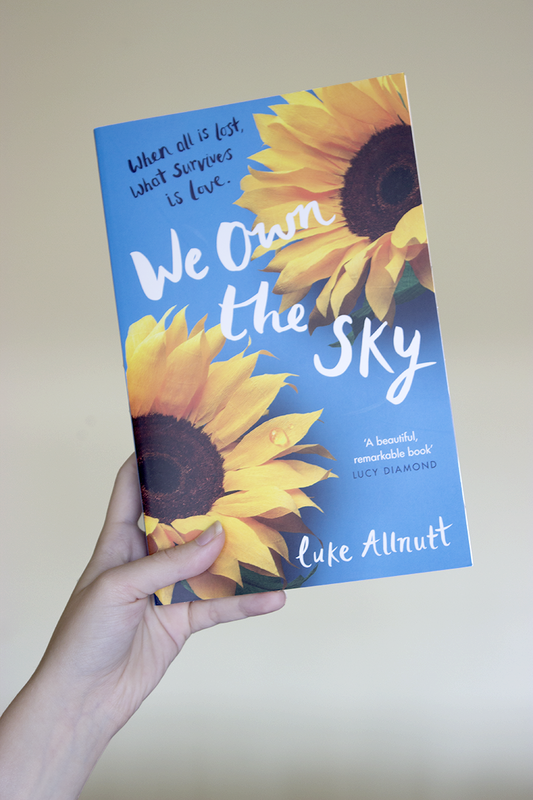 I have very mixed feelings about We Own The Sky*. On one hand the story was really meaningful and definitely kicked you in the feels a lot, but on the other hand, it also felt rather cheesy which kind of ruined the meaningful storyline. Rob Coates feels like he’s won the lottery of life. There is Anna, his incredible wife, their London townhouse and, most precious of all, Jack, their son, who makes every day an extraordinary adventure. But when a devastating illness befalls his family, Rob’s world begins to unravel. Suddenly finding himself alone, Rob seeks solace in photographing the skyscrapers and clifftops he and his son Jack used to visit. And just when it seems that all hope is lost, Rob embarks on the most unforgettable of journeys to find his way back to life, and forgiveness. Having gone through an experience similar to this book in recent years (minus the jet-setting off to Prague) I try not to pick up books that revolve around the cancer story. Unfortunately, I wasn’t aware that would be the case with this book as the blurb doesn’t really give much away. So sorry if that comes as spoilers to you but it’s hinted at in the first chapter and mentioned properly in the first few chapters of the book anyway and I couldn’t really form much of a review on it if I didn’t mention the fact. Rob and Anna go through very different paths when it comes to dealing with wee Jack’s condition. I think it’s rather nice to see something true to real life rather than the whole ‘let’s make the most of it’ stories you tend to get in teenage cancer stories. Rob wants to do everything in his being to try cure Jack to the point where he’d happily remortgage or sell his house for treatments. Whereas Anna sees the analytical side, which sometimes is viewed as a rather cold perspective and often Anna is seen as being rather cold even when dealing with her dying little boy. After the fact they follow the regular path parents take from losing many a child, they fight and then they split. But then the third section of the book they come back together and finally have this magical cheesy I forgive you please come back to me type sequence which I found was rather unnecessary. The book could definitely be ended at the end of section two. I didn’t hate the book, I just found it hard to get into. There were a few minor storylines that were unnecessary and frankly the storyline that linked with the title didn’t really add much - it just added that cheesy happy ending. That aside, there were definitely very important meaningful parts of this book that are worth reading, especially if you haven’t gone through something like this. Everyone mourns in different ways so it’s nice to see that shown in at least 5 different ways throughout the novel, from the main story of Rob and Anna, the storyline of Nev and Josh, and the storyline of both Rob’s dad and Anna’s mum after losing their partners as well. * I was given this book for review purposes but all opinions are my own.